The Eco Nexus Duo 60 is a compact, twin–stream recycling container which allows more waste to be recycled with minimal effect to the surroundings. 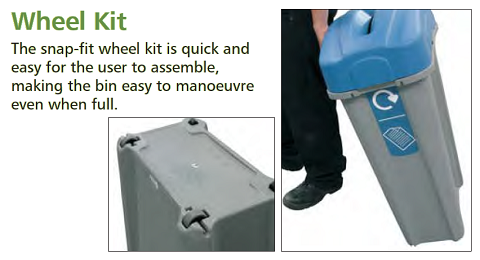 Eco Nexus Duo 60 is a compact twin-stream recycling unit. Available with a choice of 50%/50% or 70%/30% lids, Eco Nexus Duo 60 can be supplied with combination General Waste / Mixed Recyclables graphics as standard, or any combination of recycling streams to special order. 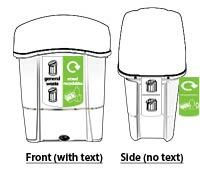 Eco Nexus Duo 60 Recycling Bin is perfect for simple recycling schemes where mixed dry waste streams can be collected together. Choice of 50%/50% or 70%/30% split lids available. Reinforced hinge (tested through over 2000 operations) makes opening and closing the bin a simple procedure. 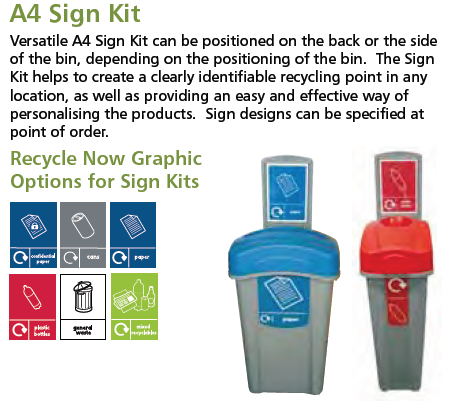 We can provide graphics for any two waste streams - contact our sales office to discuss your requirements.